Morris Dancing in Oxfordshire towns and villages has an ancient pedigree. In 1560, for example, the accounts of Abingdon's parish church have an entry detailing the purchase of "two dossin of Morres belles". Maytime celebrations in Tudor and Stuart times could be quite elaborate. According to Ronald Hutton in his excellent history of the ritual year in Britain, The Stations of the Sun (1996), a 'lord' with beribboned mace of office went out and about preceded by a fool or 'squire' carrying an inflated bladder and dried ox-tail. There was sometimes a sword-bearer, with a cake carried on the end of his weapon which was sliced into pieces and given to bystanders. 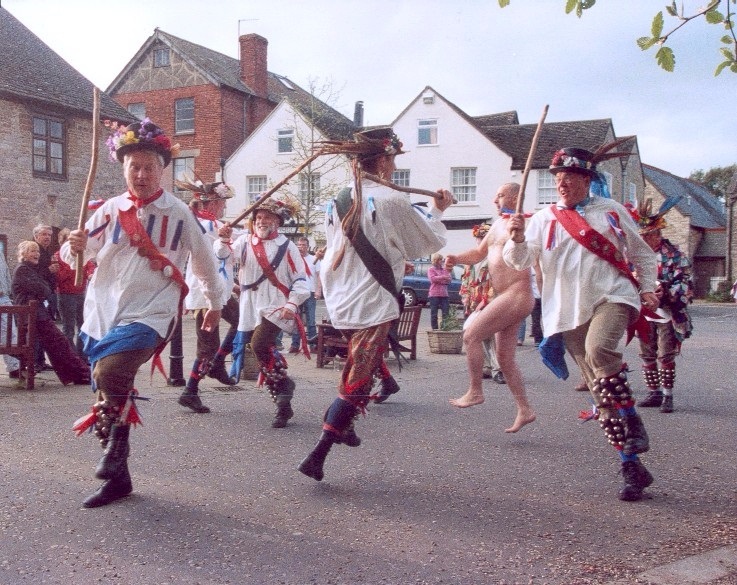 Church Ales, described in The May Day Story above, routinely featured the morris, and the gentry often paid for morris dancers to enliven their events. Aristocratic patronage continued into the 18th century. In 1705, when the foundation stone for Blenheim Palace was laid, celebrations included morris displays as well as copious quantities of wine, punch, cakes and ale. And in 1727, the Duke of Marlborough's Blenheim accounts show payments to the morris at the election of Woodstock's MP to parliament. 'Morris dancers, £1 1s 0d,' runs the entry. Such records give welcome insight into the widespread employment of the morris - but they are frustratingly terse. We do not know whether the morris side had a name, where it came from, what dances were performed and so on. But we can imagine that membership of the morris conferred some local standing - as well as money - through the interface with the gentry. We know of proud family traditions. The Waltons of Adderbury were involved in the morris for four generations or more. Many of the sides listed below outline their own histories on their websites. Besides Abingdon and Adderbury mentioned above, historic teams include Headington, Eynsham and Bampton where William Nathan Wells (1868-1953) was a legend. Better known as 'Jinky' Wells, he came from a family involved in the morris for at least three generations. 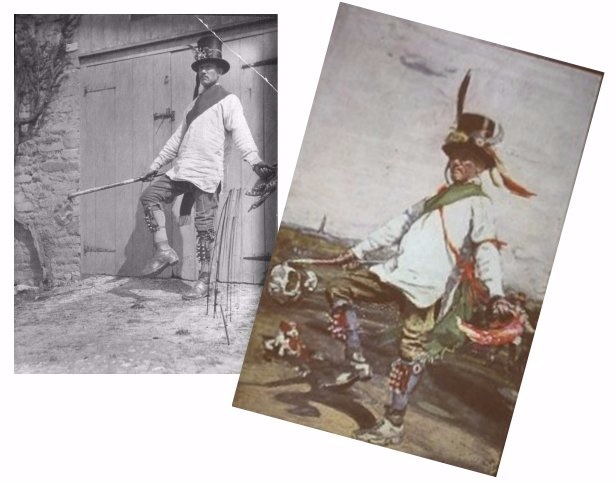 Joining the Bampton side in 1887 he performed for more than sixty years, as dancer, fool and musician. In 1914 he compiled a history of Morris dancing in Bampton reaching back to about 1840. Oxfordshire boasts an unusually strong morris tradition and some villages, such as Adderbury and Bampton have more than one side. Teams come and go (as do their websites) but these have either proved stable over the years – or they are young and seemingly vigorous.